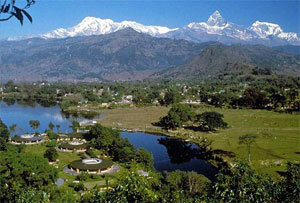 In fact Pokhara Tour uncovers adventure, thrill and romance for you. And in this sense, Pokhara Tour is going to be the perfect excursion tour for you. Pokhara is the hidden paradise of nature and possess extreme beauty with majestic surrounding Himalayas including Annapurna massif and Machhapuchhre among many others. Pokhara offers the perfect touring experience with the stunning views of Annapurna range at its backdrop and serenity of lakes. Besides, the surroundings offer the most popular treks in the Annapurna region, and Jomsom. The serenity of the tranquil Fewa Lake, beautiful sunrise views from Sarankot, amazing Davis Falls, Mahendra Cave, Bat Cave and Bindawasini Temple will provide the beautiful and unforgettable experience for lifetime. 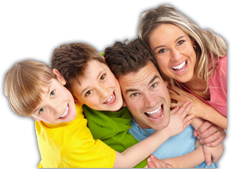 Traveling to Nepal offers wonderful tour package for you during your Nepal holidays. We cordially welcome you to Nepal. After having breakfast in the morning, we drive to Pokhara. On reaching Pokhara, we check into the hotel and then explore the lakeside. Today, after taking our morning breakfast, we start Pokhara valley sightseeing. We cover the Seti Gorge, Davis Falls and Mahadev Cave, Bindabasini Temple, Begnas Lake, Museum and many. We enjoy boating in Fewa Lake today. We stay overnight in the hotel. After completing the marvelous tour, we today leave Pokhara today. After having breakfast in the morning, we drive back to Pokhara. On arriving at Kathmandu, you can take the remaining time to explore around the city or go for last-minute shopping. We stay overnight at hotel at Kathmandu.